We understand what people go through when buying property. It’s one of the reasons we work so hard, to make the process as simple and positive as possible. The first thing to do is organise your finance. Decide which bank or financial institution you want to borrow from and talk to them about your options. The amount will depend on the lender’s conditions and your ability to repay the loan – don’t let repayments adversely affect your ability to pay bills or enjoy a normal life. You’ll also need to determine how you’ll pay the deposit. Generally 10% will be required on the day of sale. A cheque is usually fine, although it’s always a good idea to confirm this with your agent. Finally, don’t forget to factor in costs such as legal fees, stamp duty, insurance and loan application fees. Call the Coastal Space office and we’ll help you find the perfect place. 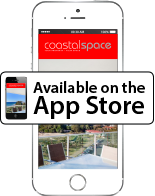 You should also look at the websites such as coastalspace.com.au or realestate.com.au which is a great place to start your search. Most properties show an estimated price, so you can get an idea of what you’ll be able to afford. It is also a good idea to look in print media such as magazines and newspapers. Register on our website our online property email alert system informs you of new properties, often before they’re even advertised. When you see a property advertised that sounds interesting, check the inspection times with the agent and have a thorough look around. You can organise with the agent to have a builder or architect also look it over to make sure that structurally it’s what you expect. You should also read the Contract of Sale or if it is an apartment the Disclosure Statement is another important document to check. If in doubt, take it to a solicitor. In fact, we strongly recommend you seek professional advice either from a solicitor or a qualified conveyancing agent, before you get too far down the purchasing track. This step is optional if the property you’re pursuing is due for auction. But it’s pretty much unavoidable if the property is a private sale. If a property is up for auction you can make an offer before the due auction date. Your offer would have to be an amount the seller would be happy to accept at the auction. So it’s a good idea to be aware of the going rate for similar properties in the area. Your Coastal Space agent can help in this regard, as they have access to figures of many properties recently sold. Of course there’s no guarantee the seller will accept your offer, and unless they do the property will remain on the market. There are basically two ways to buy a property, either through auction or private sale. The method of sale is up to the seller. A property offered for private sale will be advertised at a certain price, which may or may not be negotiable depending on the seller. You still need to check the legal documents and of course the property itself. Whether buying through auction or private sale, we’ll advise you throughout the process of what steps you need to take to ensure a smooth transaction.